Are you looking for toilet repair or a new toilet? Are you considering a complete bathroom remodel? 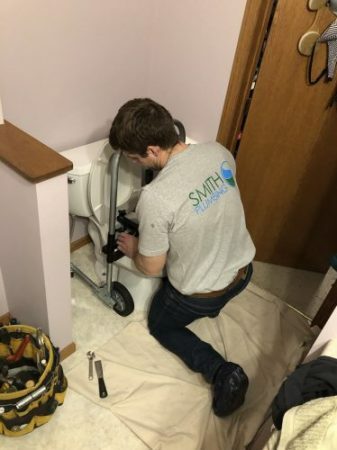 Here in Pierre SD and the surrounding areas, Smith Plumbing is ready to serve you. Call or text us at 605.222.4770 or use the request service form below for a fast friendly solution. Why Hire A Professional To Repair or Unplug Your Toilet? It all seems simple and straightforward until you get your first plugged toilet. Everyone seems to treat unplugging a toilet as a do-it-yourself project. If you decide to do the same, there may be a problem. Perhaps you don’t have any idea how a toilet works. Gravity causes the water to drain from the tank into the bowl quickly. It enters the bowl through the jets found in the rim. Rising water in the bowl causes the contents to flow through the trap in the back of the toilet. The trap is what keeps water in the bowl when it is not in use to keep sewer gas out of your residence. The water and waste that flowed through the trap continue to the sewer or septic system. The flush is complete and the tank refills. Toilets with a powerful flow of water through the bowl and through the trap plug less. Watch your toilet flush and see if weak flow may be your problem. We can provide pressure assisted toilets as a potential solution. People seem to think that toilets last forever. Nothing could be further from the truth. Periodically upgrading your toilets can help you save water and solve other problems. We have taller age-friendly models available. 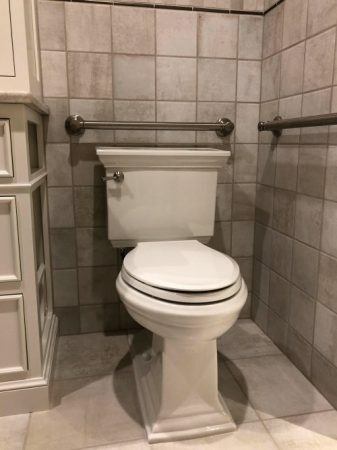 If you have a bigger project in mind, consider implementing an age-friendly toilet upgrade for your bathroom. Are you looking for a toilet repair or a new toilet? Are you considering a complete bathroom remodel? Here in Pierre, SD, Smith Plumbing is ready to serve you. Call or text us today at 605.222.4770 or contact us through our online form.